6"I have revealed you to _____________ whom you gave me out of the world. He/She was yours; you gave him/her to me and he/she has obeyed your word. 7Now __________ know that everything you have given me comes from you. 8For I gave ______________ the words you gave me and he/she accepted them. _______________ knew with certainty that I came from you, and __________________ believed that you sent me. 9I pray for ___________. 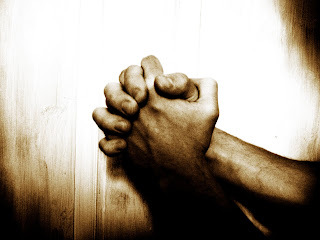 I am not praying for the world, but for ____________ whom you have given me, for he/she is yours. 10All I have is yours, and all you have is mine. And glory has come to me through __________. 11I will remain in the world no longer, but ____________ is still in the world, and I am coming to you. Holy Father, protect ________________ by the power of your name—the name you gave me.... 12While I was with _______________, I protected him/her and kept him/her safe by that name you gave me. None has been lost except the one doomed to destruction so that Scripture would be fulfilled. 13"I am coming to you now, but I say these things while I am still in the world, so that __________________ may have the full measure of my joy within him/her. 14I have given _____________________ your word and the world has hated ___________________, for ________________ is not of the world any more than I am of the world. 15My prayer is not that you take ______________ out of the world but that you protect ___________________ from the evil one. 16__________________ is not of the world, even as I am not of it. 17Sanctify___________________ by the truth; your word is truth. 18As you sent me into the world, I have sent _________________ into the world. 19...I sanctify myself, that _____________ too may be truly sanctified. 20"My prayer is not for ________________ alone. I pray also for those who will believe in me through his/her message, 21that all of them may be one, Father, just as you are in me and I am in you. May they also be in us so that the world may believe that you have sent me. 22I have given them the glory that you gave me, that they may be one as we are one: 23I in them and you in me. May ___________ and all believers be brought to complete unity to let the world know that you sent me and have loved them even as you have loved me. 24"Father, I want ________________ and all those you have given me to be with me where I am, and to see my glory, the glory you have given me because you loved me before the creation of the world. 25"Righteous Father, though the world does not know you, I know you, and they know that you have sent me. 26I have made you known to ______________ and all believers, and will continue to make you known in order that the love you have for me may be in them and that I myself may be in them." Thanks for sharing this, Amber. I will use it.